Chris Larkin Painting Services, Inc. Comment: Powerwash and paint the house. Deck, railing, sides of house. Please come around 4, not 3. Comment: I need to re-paint the exterior of the home. Current paint coverage is at least 15 years old. It is approximately a 2,000 square foot home (which includes the attached 2 car garage.) Some preparation work will be needed, especially on the roof trim. Exterior walls are mostly stucco covered concrete blocks. Roof trim, faux shutters and certain siding areas above the block are wood. Garage door is metal. I would like the final color scheme to be of 3 colors (TBD but thinking about a sand colored primary, some red trim to match the existing entry way door, and a white color for most of the trim and garage door. Crystal River Painting Contractors are rated 4.80 out of 5 based on 413 reviews of 29 pros. 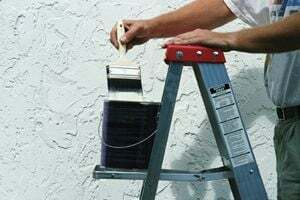 Not Looking for Painting Contractors in Crystal River, FL?